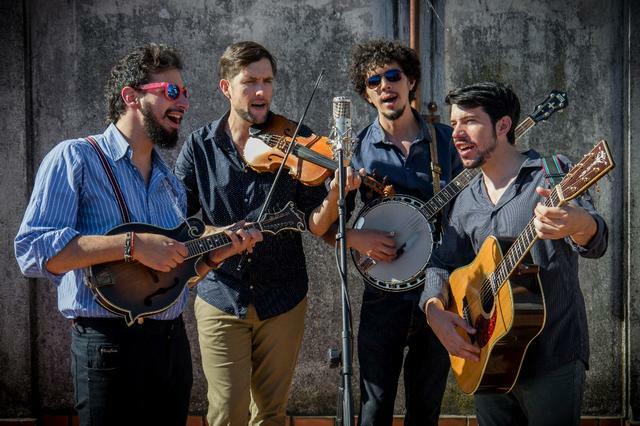 Che Apalache (CHAY-op-uh-LAH-chay) is a four-man string band based in Buenos Aires with members from Argentina, Mexico and the United States. They began as a bluegrass band, but eventually incorporated Latin American styles into their repertoire. Combining instrumental prowess with tight vocal harmonies, they have created an authentic blend of genres to reflect the nature of their lives. Evoking images from Appalachia to the Andes, their debut album, "Latingrass," is a testament to a powerful cultural and musical exchange.